The gorgeous country of Chile is known as the wine-making paradise because of its climate and the great location for its vineyards. They've had a long viticultural history of New World wine going back to as early as the 16th century. Wineries have grown from 12 in 1995 to over 70 in 2005, and Chile's wine exports are growing as their quality wine increases. 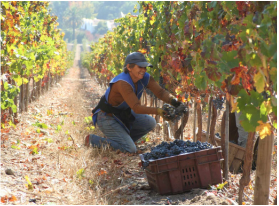 A large number of French families immigrated to Chile during the 20th century, therefore being assumed that the French shared their expertise in wine and slowly raised the quality of Chilean wine overtime. 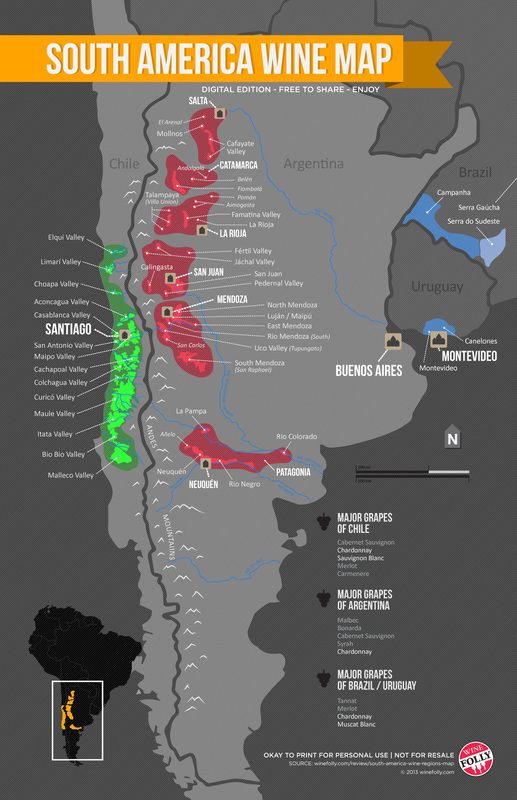 The climate in Chile has been described as being halfway between California and France and the most common grapes are Cabernet Sauvignon, Merlot and Carmenère. Chile is also free of phylloxera louse, meaning that the country's grapevines don't require grafting and the risk of other diseases associated are minimal. 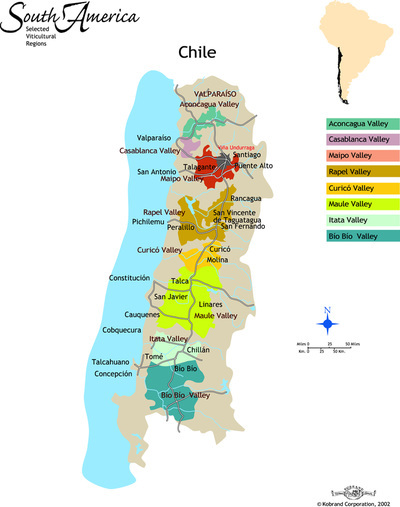 Major regions of winemaking across Chile include Atacama Region, Coquimbo, Aconcagua, Central Valley and there are also vineyards spread across Central Valley and Southern Chile. There are many great vineyards all across the country with valleys such as Alto Maipo, Central Maipo, The Cachapoal Valley, The Colchagua Valley, the Casablanca Valley, Elqui and Limari Valley, amongst many others. ​Zinfandel, Petite Sirah, Cabernet franc, Pinot noir, Syrah, Sangiovese, Barbera, Malbec, and Carignan. White wine varieties involve Chardonnay, Sauvignon blanc, Sauvignon vert, Sémillon, Riesling, Viognier, Torontel, Pedro Ximénez, Gewürztraminer and Muscat of Alexandria. The combination of the warmth of the sun, plus the cool breezes blowing off the ocean makes wines that are both very ripe and fruity and with great acidity. Other wine regions strive to achieve this. 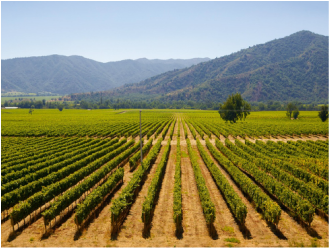 A melange of French and Spanish varietals are grown in Chile (over 20) including: Cabernet Sauvignon, Zinfandel, Pinot Noir, Sauvignon Blanc, Riesling, and Pedro Ximénez. Spanish conquistadors brought vines with them in the 16th century when they colonized Chile.